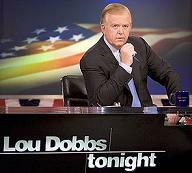 Lou Dobbs Message, "Hold Tight"! On May 18th, Lou Dobbs, CNN Anchor was the keynote speaker at the 2008 International Council of Shopping Center’s Real Estate Convention being held at the Las Vegas Hilton. Mr. Dobbs spoke to tens of thousands of real estate professionals about the real estate industry and the economy. He summed up the U.S. economic situation as “normal business cycle”. Mr. Dobbs stated he anticipates a stronger national economy by years end and advised real estate professionals to “Hold Tight” until the economy strengthens. Las Vegas has already shown signs that the local economy is strengthening with the increase in homes sold over the same month last year and the unemployment rate dropped in April compared to March 2008. All positive signs that Las Vegas might be on a slow path to recovery. Mr. Dobbs should try and tell that to all of the people affected by this “normal business cycle”.